I love New Year’s Resolutions. Am I good at making them? Yes. Am I the best at keeping them? No… but I do try! This year, at the top of my list of resolutions is to run a half marathon in the spring. Weeks before Christmas, I’d wake up and go for a morning run (before the heavy snowfalls). I could feel my endurance getting better and better! Then, as winter went on, the cold morning runs outside turned icy, followed by snow covered. My motivation grew less and less, and I even found myself searching for excuses to stay inside. All of these thoughts led me to do a little research, making me wonder, is it really even safe to exercise in the winter? Unfortunately, there is no “right” answer to this question. To some extent, yes, almost everyone can do some sort of physical activity outside – even in the snow! However, when dealing with certain cardiac disorders or conditions (like Raynaud’s, for example), it is suggested to consult your physician beforehand. For those with asthma, it is typically recommended to use your inhaler prior to exercise and to bring it with you while outdoors. Being aware of your surroundings, and using common sense is important while exercising outdoors! Listen to your body, and start slowly if you’re a beginner. I obviously do not suggest jogging on icy sidewalks or sprinting up slippery, snowy hills by any means. However, if the sidewalks are shoveled and salted, a brisk walk may be a good idea! Be sure to include a thorough warm-up, which can include walking indoors, marching in place or pumping your arms. 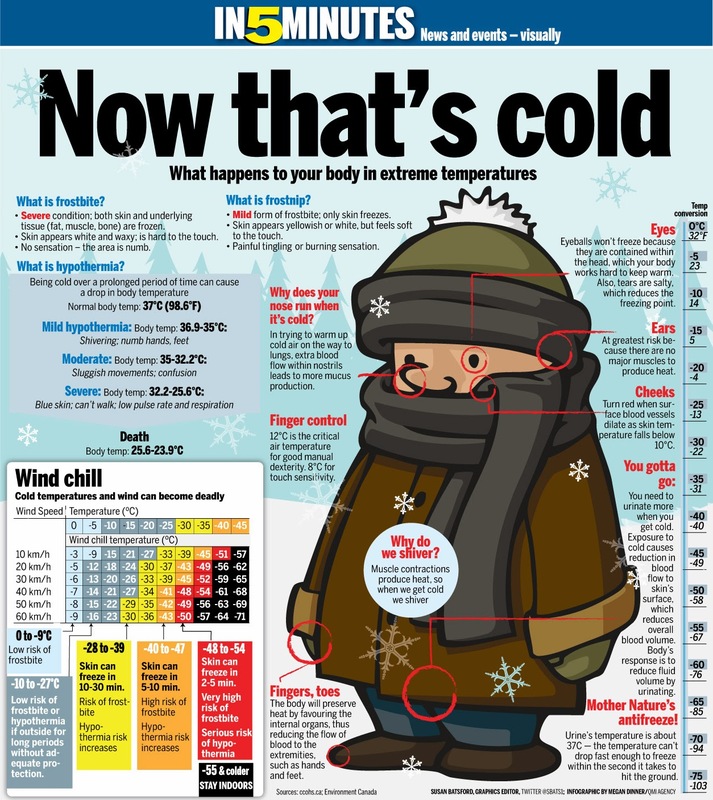 It is also important to wear layers while avoiding tight material that may restrict blood flow. The Mayo Clinic suggests dressing in layers that are easy to remove if you sweat. Avoid cotton material on your skin (it can cause the wetness to stay) and try a thin layer of synthetic material instead. Layer fleece or wool on top of this, coupled by a breathable outer layer. And of course, don’t be afraid to experiment with different clothing. Find what works best for you! And, because we live in the Midwest, it is also important to know the signs and symptoms of frostbite. While uncommon if the temperature is above 5 degrees, do not forget to cover your ears and nose, as these are frequently left exposed. Go back inside immediately if you experience stinging sensations, discoloration or lose feeling in vulnerable areas. For those who do not enjoy exercising outdoors, try out an indoor fitness plan! Check out local gyms or try an exercise tape or app. Even better, stop by ARC for a free consultation! We’d love to help you develop an exercise plan that works for you. In any case, best of luck keeping your New Year’s Resolutions, especially if they involve health and exercise. Layer, layer, layer. Don’t forget the gloves and hat! Warm up and cool down for at least 10 minutes prior to and after exercise in order to let your muscles adjust. Listen to your body and use common sense. If you’re sick with a fever or the flu, working out will only make you worse! Know the signs and symptoms of frostbite (loss of feeling, numbness, burning sensations). If you experience ANY of these, go inside immediately.